WORK IN COLORADO'S BOOMING FOOD AND BEVERAGE INDUSTRIES? COME MINGLE WITH SOME OF COLORADO'S ESTABLISHED, UP-AND-COMING, AND NEWEST FOOD AND BEVERAGE SUPPLIERS AT OUR NEXT NETWORKING AND EDUCATION EVENT. Thank you to our panel of Women Leaders! What an amazing group of inspiriting and influential leaders sharing their experiences in the world of CPG. Thank you to everyone who attended the CFW Ugly Sweater Holiday Party at Improper City. A special shout out to all the great brands that donated product for our non-profit partner Metro Caring. We filled a lot of bags with delicious local goodies! WOW! What a panel! Amazing insight from some the top leaders in Colorado’s foods space. A big shout out to our amazing panel. THANK YOU! We also want to thank everyone that attended. We can’t wait to see you at the next CFW event. 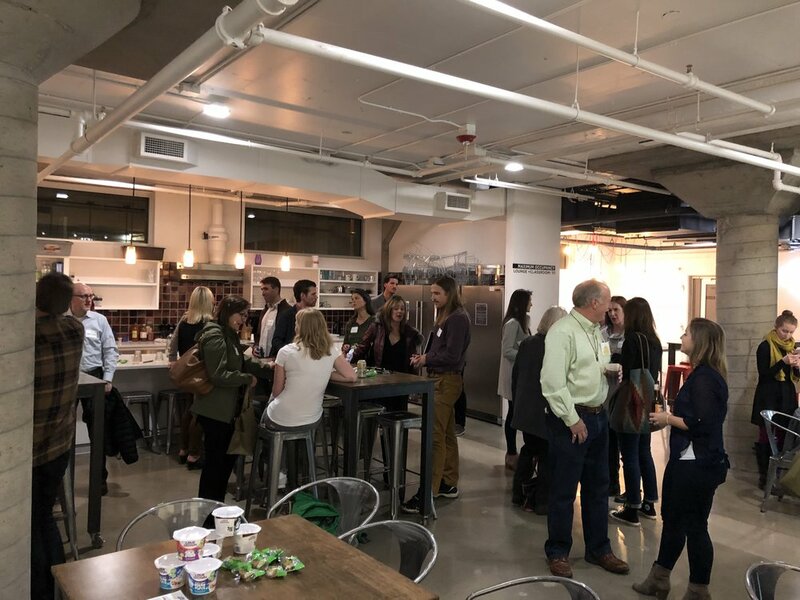 Want to connect with movers and shakers in Colorado's booming food and beverage space? Contact info@coloradofoodworks.org for sponsorship or collaboration opportunites.